Tangier! Did you knew that during the first half of the 20th century, Tangier was the stylish resort in the Mediterranean. An international city of much pizzazz and was the home of expatriates and exiles. A little bit of scoop… Tangier was also a popular resort for gays and was favoured by Tennessee Williams, Paul Bowles, Joe Ortons and more. However, this role is of a much lesser degree today. This famous port city still has its old hotels and bars. Unfortunately, Tangier got a bit left on the way side and gained a reputation as a city best avoided. 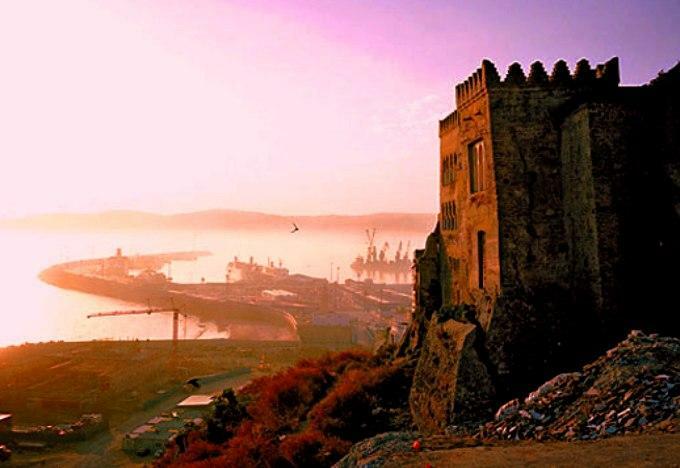 The Port of Tangier is for the most part, a means to another destination in Morocco when you are coming from Spain. There is a stream of ferries arriving daily. The city today has its attractions, which is really the whole city of Tangier; it is a a great place to just meander around the tumbling streets and cafes’ but it can be a bit overwhelming for a first time visitor. Once as you give yourself time, you will find Tangier to be eccentric and enduring. Thank you for sharing you web site. 1. Which city/town in Spain is closest to Tangier? 2. How long is the Ferry trip? 3. What is the daily Ferry schedule -in both directions?? 1. A ferry from Tarifa is better. You can also embark in Algeciras and land in Tangier Med which is a bit further out from the general Port of Tangier. 2. As less as an hour and half. 3. Try this web site http://www.frs.es/ for scheduling and online booking. I hope this is helpful to you and sorry for the late response.